Honestly, this is the most magical place. With breathtaking views, nestled in the mountainous bushland in the Pyrenees Ranges and in close proximity to TWO wineries...not only is it magical it might actually be heaven? Mamma and the crew took a mini break to enjoy some complete serenity and get away from all that is city life. 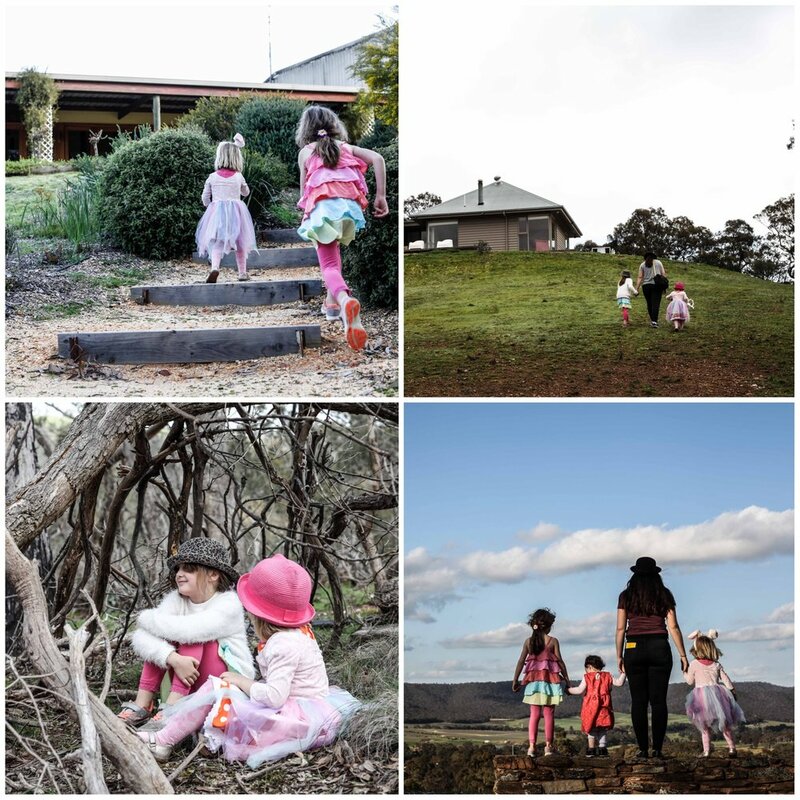 We went for bushwalks, we made bush cubbies, we watched the landscape change almost every-single-time we looked out across the rolling fields and Moonambel Valley and the farms below. We ventured to Dalwhinnie Wines where we enjoyed a cheese platter for afternoon tea and of course delicious wine and more spectacular views and then to Taltarni Wines for an late arvo tipple...our evenings were spent playing games, roasting marshmallows in the fire pit and ogling the golden sun as it set - once again lighting up the hills and valleys with pinks and purples and smiling faces. Mamma's special mention: The house itself is simple, modern and very roomy with plenty of bathrooms and bedrooms for two families OR a big group of people (helloo Mamma weekend!) wanting to explore the area and get a taste of the wineries of course!